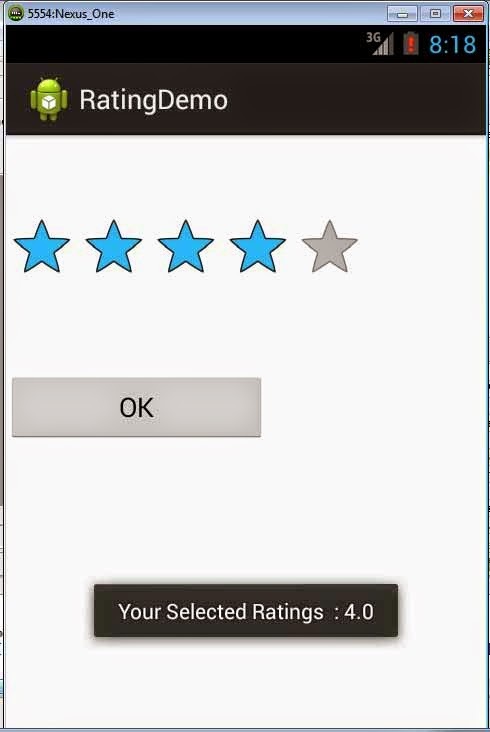 -> We will create an application with five stars. As we select stars we will get the numbers associated with it. 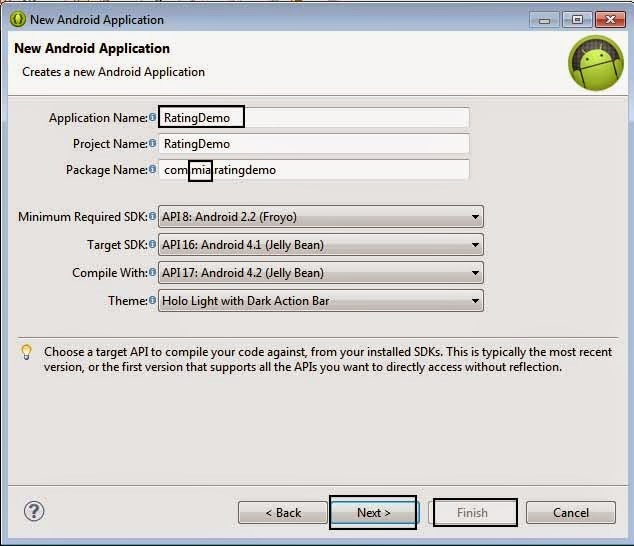 Step 2 : Give a Name(RatingDemo) and a package name(mia) to your Application. Click Next continuously then click Finish. Step 3 : Drag RatingBar and Button in activity_main.xml layout.Or else copy the below code in activity_main.xml. 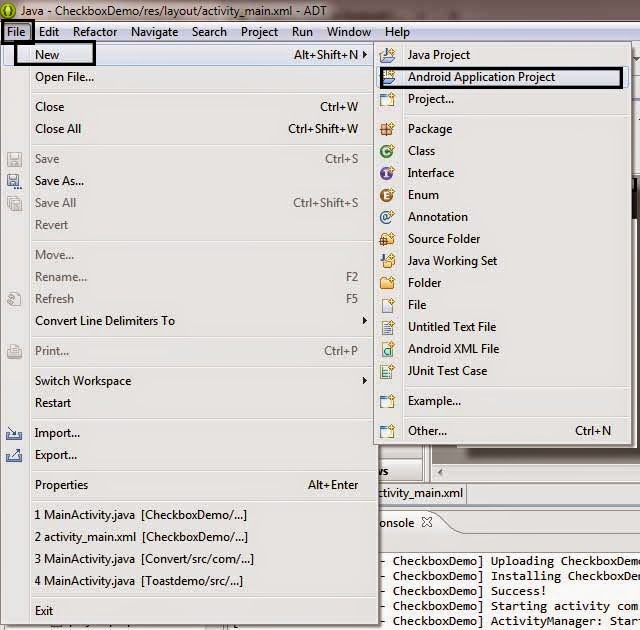 Step 4 : Open MainActivity.java from src->com.mia.ratingdemo. Copy the code below in it. Step 5 : Run the Application. We just add a RatingBar with a Button in a LinearLayout. 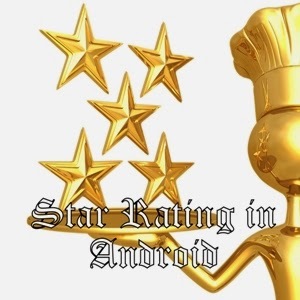 numStars:5 is used to limit the rating to 5 . 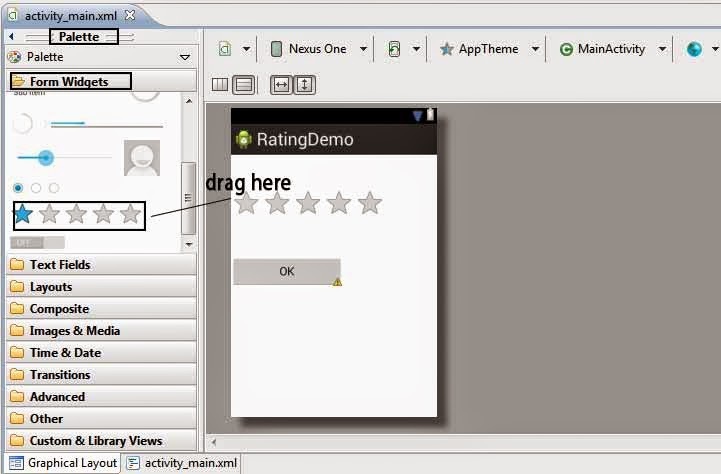 We relate the rating bar and the button from the layout to the variables respectively using findViewById(). the onRatingBarChangeListener() method is used to perform action on clicking the RatingBar. Here we will display a Toast with the number of starts given by the user, when the action is performed.The float rating variable stores the rating value in float number. We will perform the same action when button is pressed using setOnClickListener() method.